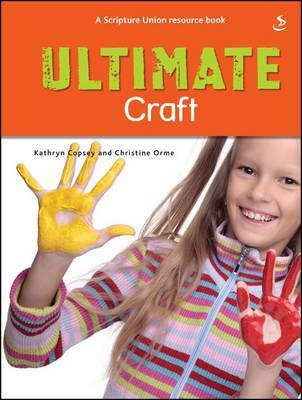 Ultimate Craft is part of the Ultimate series, a set of resources for those working with children (and younger young people) in a variety of settings. Ultimate Craft provides hundreds of ideas in clearly catagorised sections. The book is navigable either by type of craft or by subject, and there is a comprehensive index at the back to help out. Each of these ideas has been tried and tested before, so they have worked in other situations, and are more than likely to work again! There are different levels of complexity - some ideas are simple and quick to prepare, others require more time, preparation or resources. Different ways of doing one kind of craft are included: more than one way to make a banner, for example. There are also tips on the kind of craft resources to keep handy and putting together a craft box for your group.